Topsail Island Real Estate Tips from Seashore Realty Group, Inc.
For more information on coastal real estate please refer to this brochure. LET THE HOUSE HUNTING ! Now you are ready to embark on your home search - an endeavor that can prove overwhelming if not approached with some forethought. 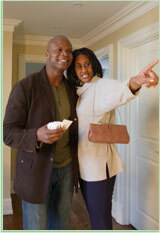 The most efficient route is to allow your real estate agent to do the initial scouting for you. Using your wish list as a guide, he or she will alert you of new and existing listings that have strong potential. If these listings pique your interest, your agent will arrange home tours at your convenience. Many agents send alerts via email - sometimes as often as daily, depending on the available inventory in your market. Let your agent know how you'd like to receive these alerts, whether by phone, email or fax. You also can do some research on your own. Read local real estate publications, contact your local neighborhood associations, visit the local chamber of commerce, surf the Internet, or drive around your favorite neighborhoods. While these methods certainly can lead to your dream home, it's important to note that 82 % of home sales are the result of agent connections. * That means it's more likely your agent will find your dream home through being in the real estate business than you driving around on the weekends. Sometimes, you get lucky and the seller accepts your offer as is. However, in most instances, the seller will make a counteroffer. This is where your real estate agent's experience in negotiations will be invaluable. 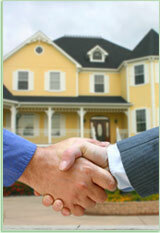 Keep in mind almost everything is negotiable when you are buying a house. This can give you a great deal of leverage in the buying process - that is, if you have adequate information and you use it in an appropriate manner. Congratulations! The moment you've been anticipating has arrived. The closing is where home ownership is legally transferred from the seller to the buyer. It is a formal meeting that most parties involved in the transaction will attend. Closing procedures usually are held at the lawyer's office. The closing attorney will coordinate all the document signing and the collection and disbursement of funds. In advance of your closing date (24 hours at minimum), your lender will send a final closing statement that outlines your closing costs, if applicable. Your real estate agent will review this document with you to ensure its accuracy, as well as help you gather any necessary documentation that you'll need to bring to closing.